The Resident Tourist: Happy Labor Day Weekend . . .
Plans for the long weekend? 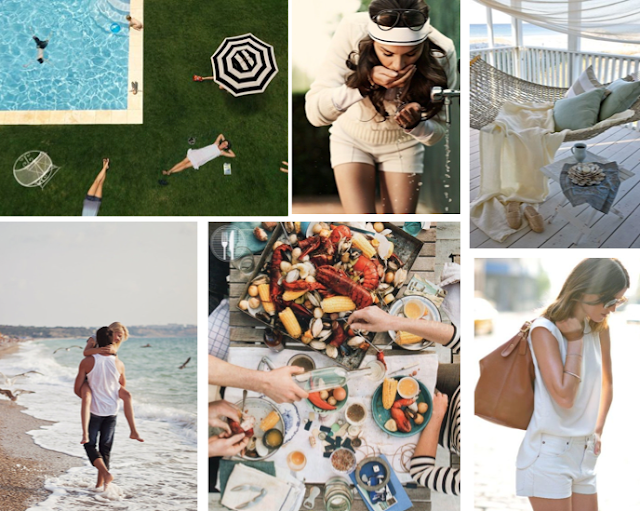 I'm off to East Hampton today with family and friends for a few days of beachy perfection. Can't imagine a better way to cap off the summer. I'm thinking a little tennis and Southsides by the pool, hammock reading and afternoon beach walks, late breakfasts and seafood dinners, white shorts and gold sandals (for the last time this year). Have a lovely Labor Day, see you on Tuesday!